Combining incredible design with Canterbury’s cutting-edge fabric technologies, the Advantage Short will keep you comfortable on the field while ensuring that you look the part. Made from 100% polyester twill, these shorts are both breathable and durable. The power stretch crotch star gusset provides outstanding flexibility of movement, so you can work out strenuously without a worry, whether you’re on the field or in the gym. With their non-slip elasticated waist with drawcord, you can be certain of a great fit and maximum comfort. 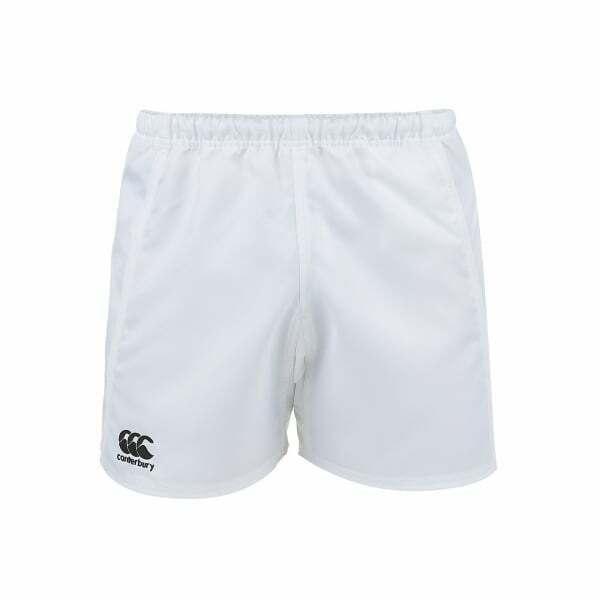 These shorts come complete with the authentic CCC logo embroidered at the right hem, so you’ll be immediately recognised as one of Canterbury’s well-established community of players and fans.